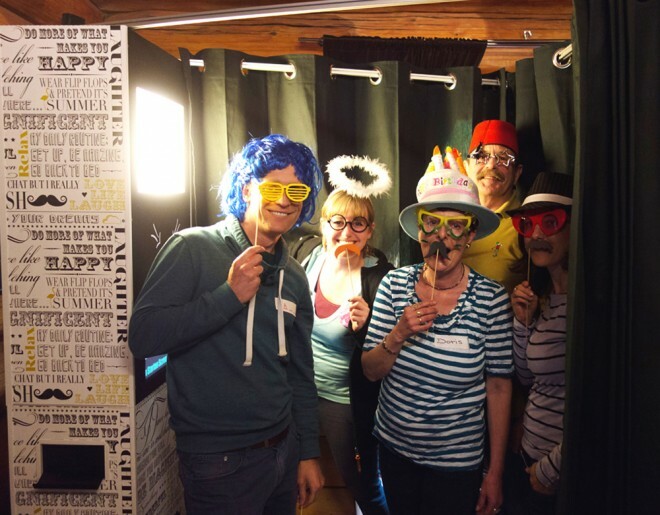 There is nothing better than the sound of fun and laughter coming from inside a photobooth…especially when it’s the laugh of your grandparents! Photobooths offer fantastic entertainment value for everyone and yet it won’t take up all of your evening. A few minutes is all that’s required between starting those photos and collecting your memorable photo strip, and if you want more fun, just use the booth again – unlimited entries ensure everyone gets to use the booth as much as they want! No 2 – Wedding favour. 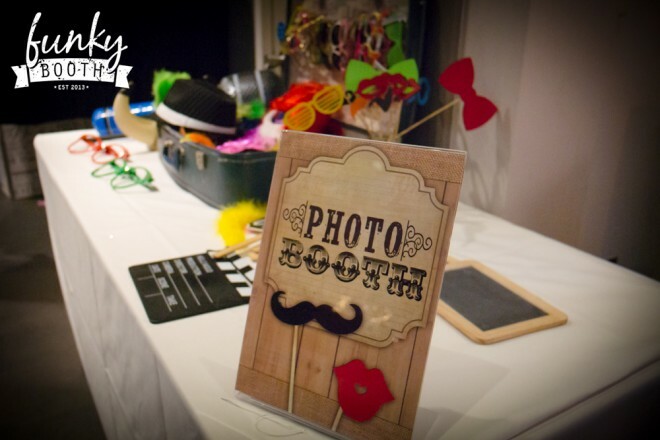 A photo booth is a fantastic replacement for your typical wedding favours. Your guests can take away a personalised photo strip capturing the fun they had at your wedding….you can’t get a better wedding favour than that! 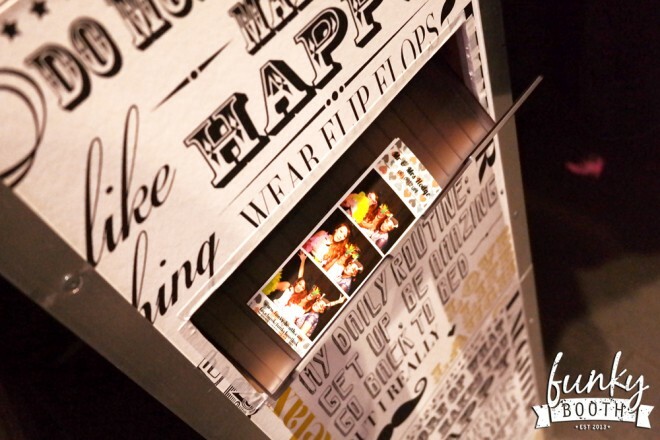 The photo strip is ideal to be pinned onto a fridge where everyone can see how much fun was had at your wedding. 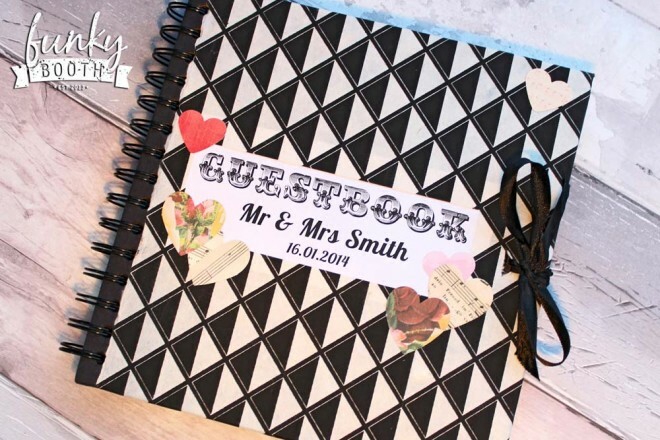 Everyone finds it a little difficult to know what to say when a traditional guestbook is passed around, that’s why a photo-guestbook is a perfect replacement. 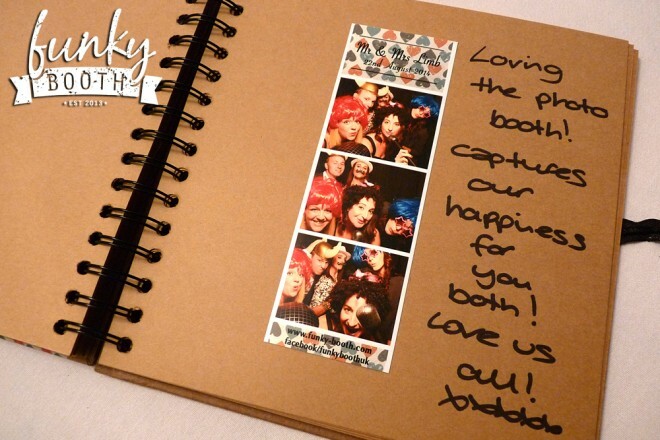 A personalised book full of (funky) photos and loving comments is something you will cherish for many years after your wedding. No 4 – Evening photos. It is usually very difficult to capture photos of every single guest at your wedding, especially all of those extra evening guests. People try different things to overcome this such as polaroid cameras at tables. The problem is that it’s not much fun! It certainly isn’t fun for you either when you go to the effort of developing the photos only to find that half of the pictures are blurred and the other half are of the floor! A photo booth on the other hand captures top-quality, entertaining pictures of all your guests so you will never forget who actually attended your wedding, what they looked like and just how much fun they had! No 5 – People do crazy things when no one is watching! 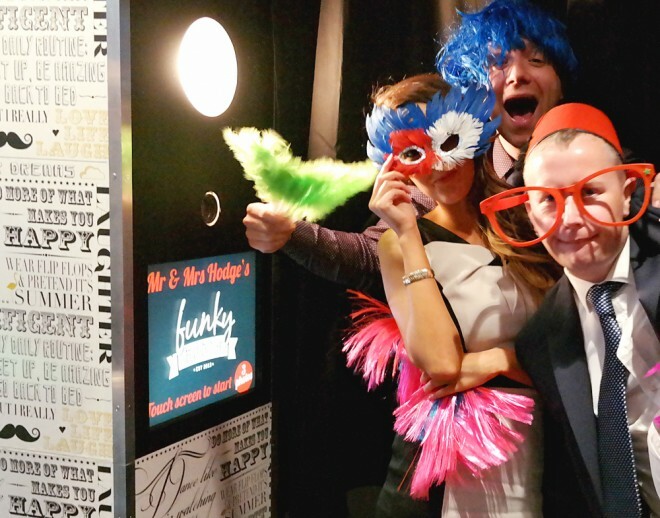 Our enclosed photo booths provide the perfect environment for people to let their hair down and go crazy in front of a camera. Add some props (and maybe a splash of alcohol) and you get hilarious photos that simply can’t be achieved by anyone or anything other than a private, enclosed photo booth. A photo booth is a memory-making-machine! The photo strips that are instantly printed after each go form a special connection between you and your guests. When you look through each one of the photos saved in your personalised guestbook you will get that warm feeling inside knowing that your friends and family also have the same memorable photos from your spacial day. It means your guests will never forget your wedding day and their little photo strip will be the trigger for all of those happy memories that you shared together. No 7 – Fun for everyone. 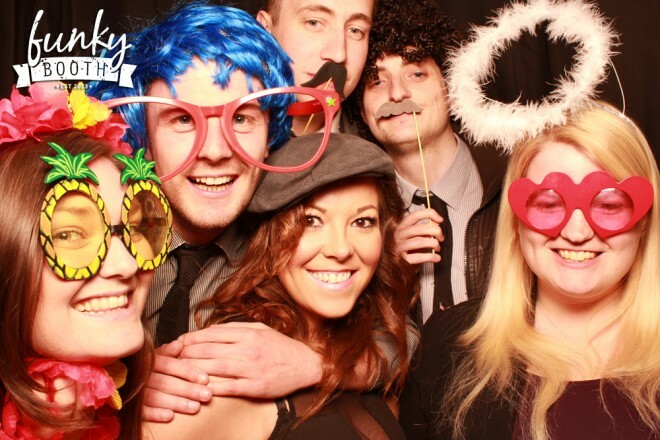 At funkybooth, we have yet to meet anyone who hasn’t had fun in one of our photo booths! It’s perfect for friends and family to capture that special moment together but also for the wedding couple to get involved! So why not jump in the booth for that romantic photo together and then later on grab your parents, bridesmaids, best men and best friends for photos that you will never forget!